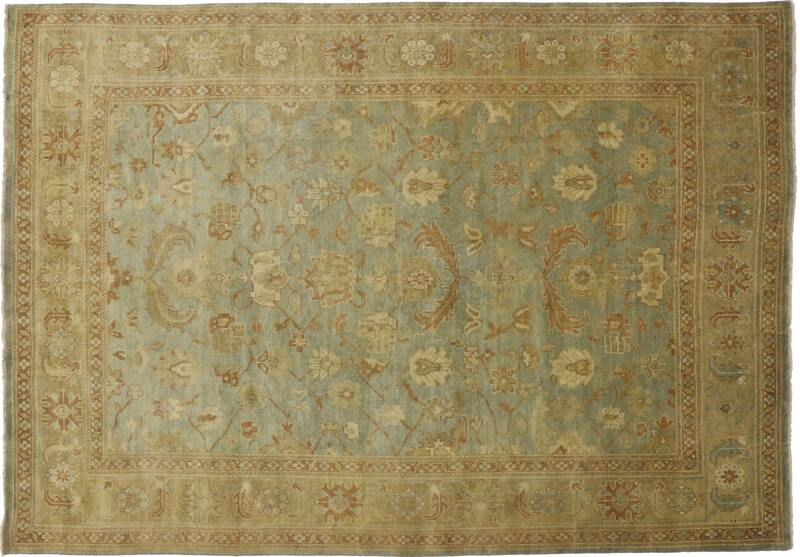 30185 New Contemporary Oushak Style Rug with Vintage Coastal Look 09'05 X 13'06 From Esmaili Rugs Collection. 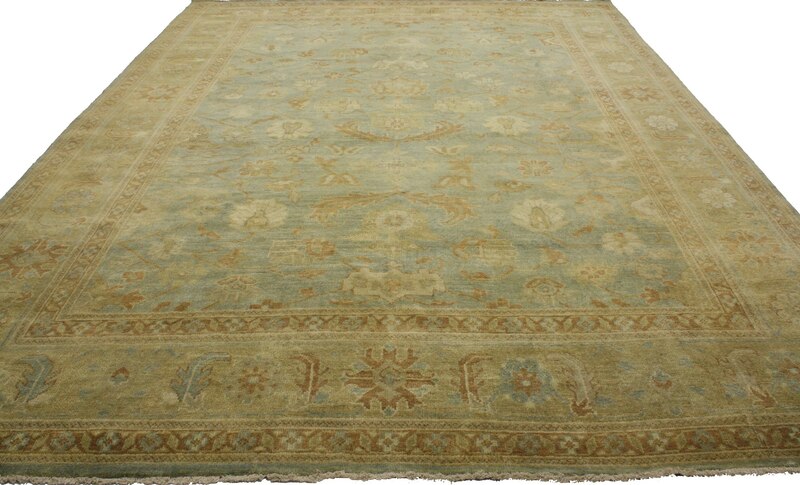 Create a perfect summer-retreat with this new Oushak style rug. It features an allover lattice of large palmettes and delicate vines on an abrashed field. 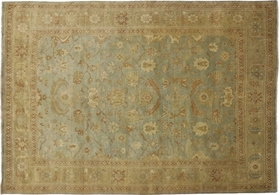 The Oushak rug is framed with a variation of the Herati border and flanked with thin guard bands patterned with rosettes. 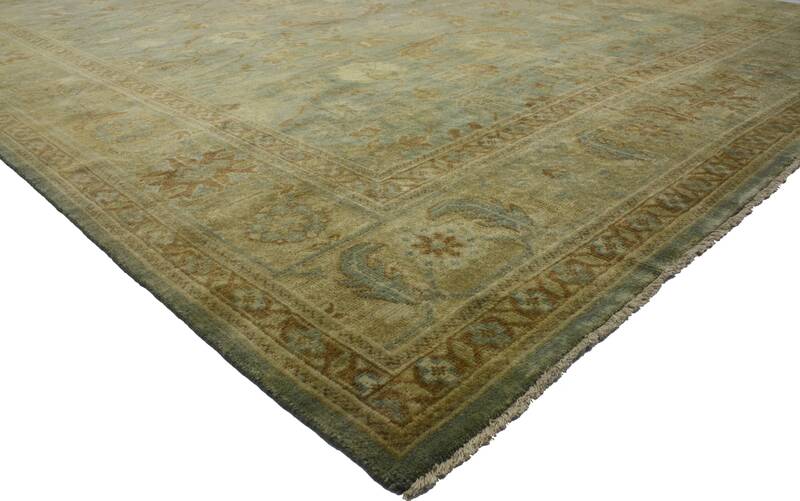 With its vintage coastal look and transitional color palette, this Oushak style rug is tastefully casual with sacrificing elegance. Hand-knotted wool. Made in India. Measures: 09'05 X 13'06. Brand-New. In-Stock.